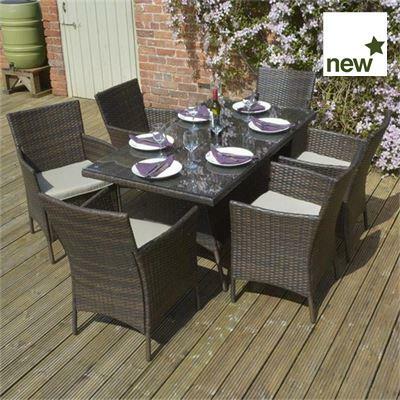 Our rattan garden furniture sets are top of the range and come in a variety of colours and styles. The resin weave is endurable and long lasting in the outdoor. Browse our selection of rattan furniture dining and rattan lounge sets - all great for the small patio, large terrace or balcony but also look stunning in a conservatory, summerhouse or sun room. Selected from brands such as Rowlinsons, Norfolk Leisure and Glendale.